OLI AT IDMA 2019 – Find us at Hall 10, Stand A14. 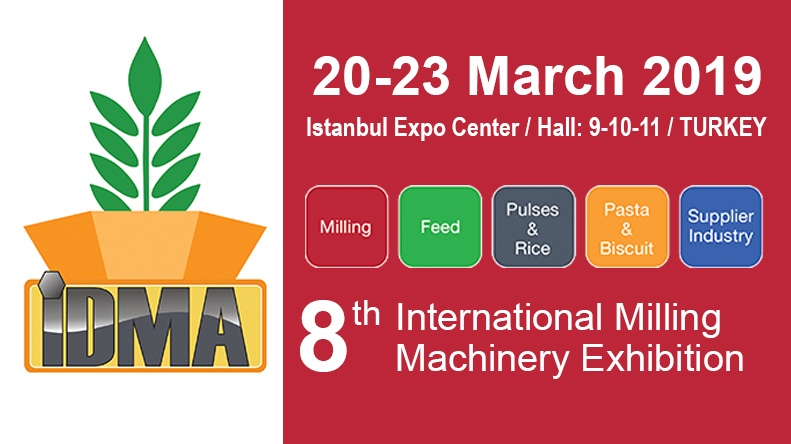 The Milling Training that has been started for contributing to the qualified workforce of the milling, flour and feed sectors will be held for the third time on 21-23 March 2019 under the roof of IDMA. Certified Milling Training, which was given in IDMA 2013 for the first time and in IDMA 2015 for the second time and aroused great interest, will be realized under the organization of TABADER, leading Turkish sectorial association.